Hammocks remind me of holiday, lazy days and summer. What could be more relaxing than reading a good book on a summer day in a hammock? Well, perhaps drinking coffee while swinging in a hammock? 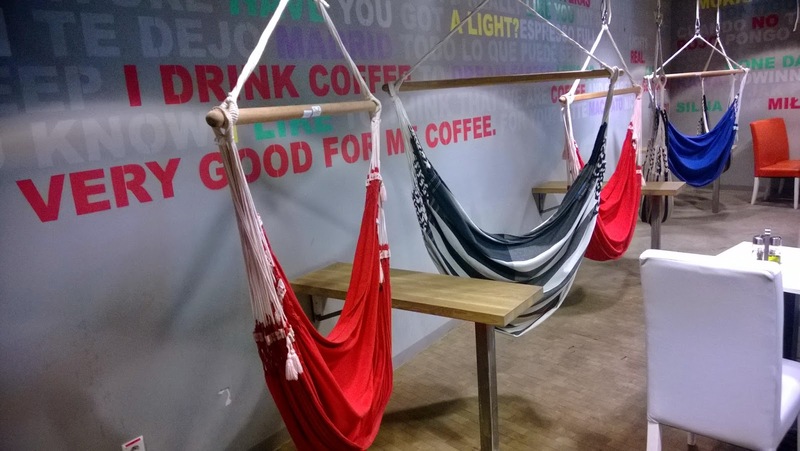 In Warsaw at the University of Warsaw’s Library building there is a café where the seats are hammock swings that dangle from the ceiling. The concept is brilliant but not unique – there are at least a few famous hammock cafes in Japan. The café in Warsaw is called Fenomenalna Crepes & Café and they serve sweet and savoury crepes and other light snacks and drinks. The place used to be called “Sin Frontereas Café” as it still says in their coffee cups. At the café there are also regular chairs available. I think it is a wise idea since they serve food – it is not that easy to eat and swing in a hammock at the same time. 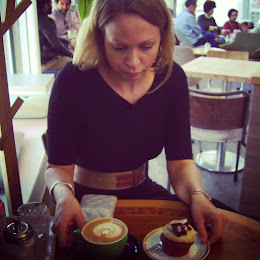 Even with coffee it was a little challenging. The University Library itself is a very modern. 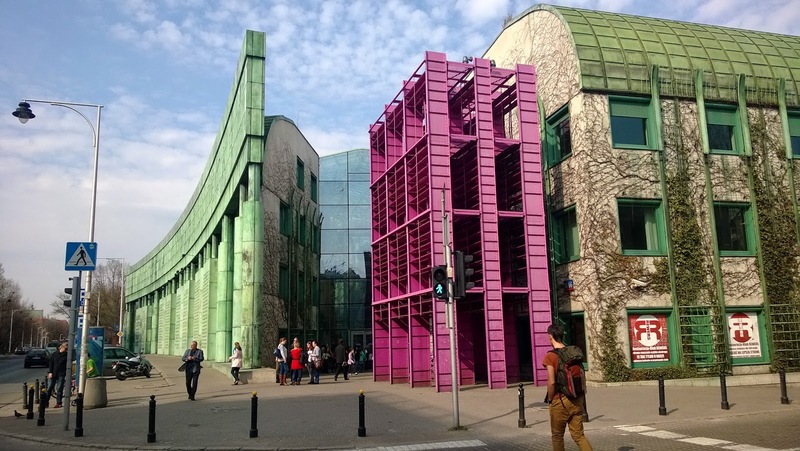 The building was designed by architects Marek Budzyński and Zbigniew Badowski and opened in 1999. 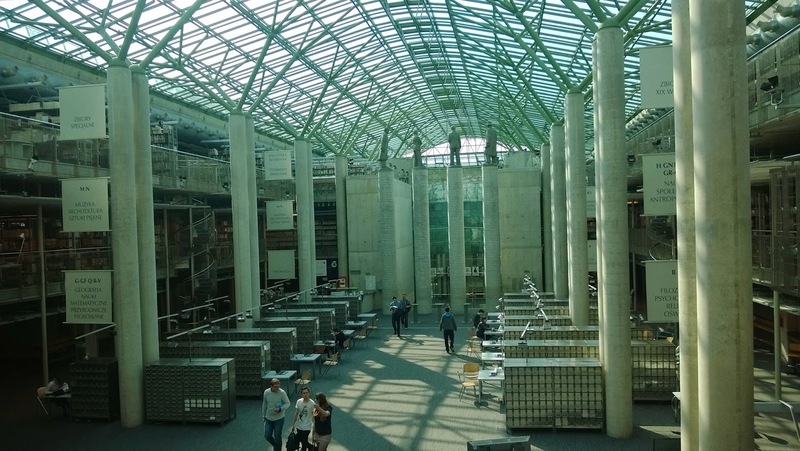 Glass and steel are distinctive features of the Library’s architecture. The interior has a feeling of space and interior design is very minimalist. The Library garden, designed by Irena Bajerska, is located on the roof of the building. It is one of the largest roof gardens in Europe and definitely worth a visit. 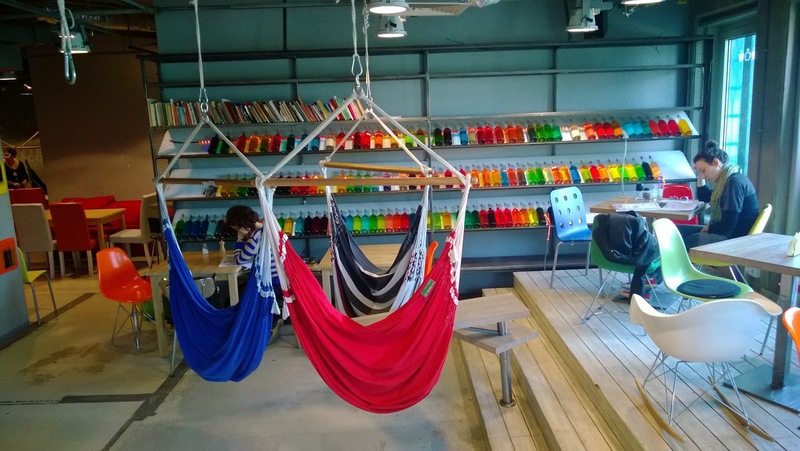 Seems like it is quite fun to be a student here - during breaks you can swing in a hammock or enjoy outdoors on the roof garden.